Soon after they found each other on instagram where Christina reached out to Tom. They did not actually meet for awhile but saw each other at a race. They both share a strong faith in Jesus so both were wondering if the other had that same faith. Little did Christina know that while Tom was praying and asking the Lord about meeting a girl strong in her faith, enjoys the same things that he does and of course, cute! Well talk about answered prayer! Christina’s friend request popped up on his Face Book page just about that time so he decided to reach out and take a chance. He asked her out and they set up a date August 12, 2017. They enjoyed a 9 mile hike together and the rest is history! Tom has planned something special and wanted Christina to be totally surprised so he asked a good friend to cancel dinner with Christina and asked Christina to take a casual run with him seeing she was free. They ran about a mile when Tom stopped to take a rock out of his shoe. Christina was not expecting that type of rock! Tom got down on one knee and asked Christina to marry him! She was delighted and said yes!!! Tom had also arranged for a photographer to be there to capture this beautiful engagement! 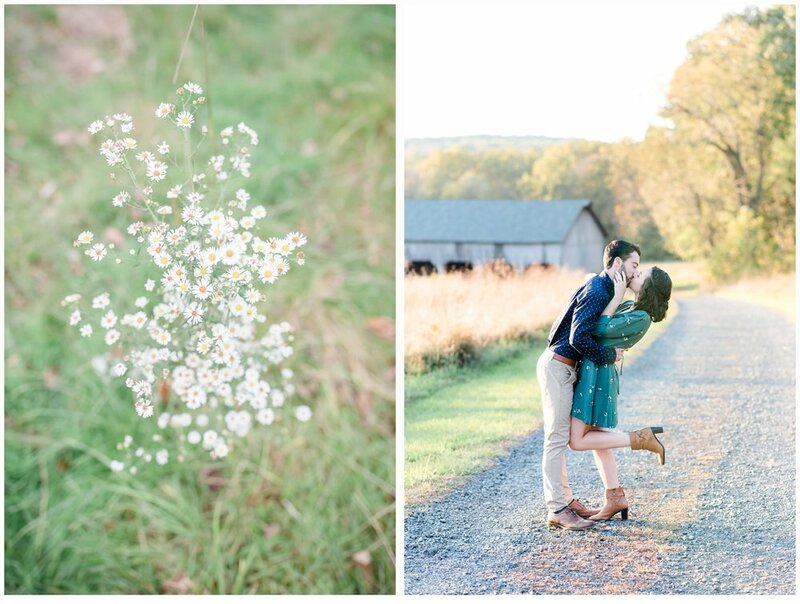 They chose Natirar Park for their engagement session because it is their favorite place to take long runs together! They will be married October 19, 2019 at the beautiful Vail Mansion in Morristown, NJ.